We would like to take a moment to thank the Shuttleworth Foundation, and Shuttleworth Fellow Rory Aronson, for their generous “flash grant” gift to LocalWiki! The Shuttleworth Foundation is a charitable foundation dedicated to furthering openness — open source, open science, open data, and other open models of action. This grant will be used to help fund our core technical infrastructure for the next several months. We’d also like to thank the great folks over at Mapbox for donating their Mapbox service to us! We use a lot of map tiles around here, and their in-kind donation helps us bring more beautiful maps to more people! Paired with their global, localized coverage powered by OpenStreetMap, we’re able to provide detailed maps around the world. You were probably not aware that Oakland, CA's City Council discussed and voted on a contentious annual budget last week amidst flying allegations of poor transparency, backdoor dealings, and more. However, in the middle of the mudslinging, councilmember Libby Schaaf took a moment to give a shout out to Oakland LocalWiki for providing comprehensive information on the progress of budget negotiations, details on different proposals, and more. According to Schaaf, citizens sharing information about budget proceedings with each other increases transparency and citizen awareness. Check out a clip of Schaaf's statement from the meeting below. LocalWiki Japan volunteers visiting LocalWiki volunteers in Oakland. This blog post was written by Vicky Knox, Julio Rios, and Ivan Silva - all LocalWiki volunteers in Oakland, CA. 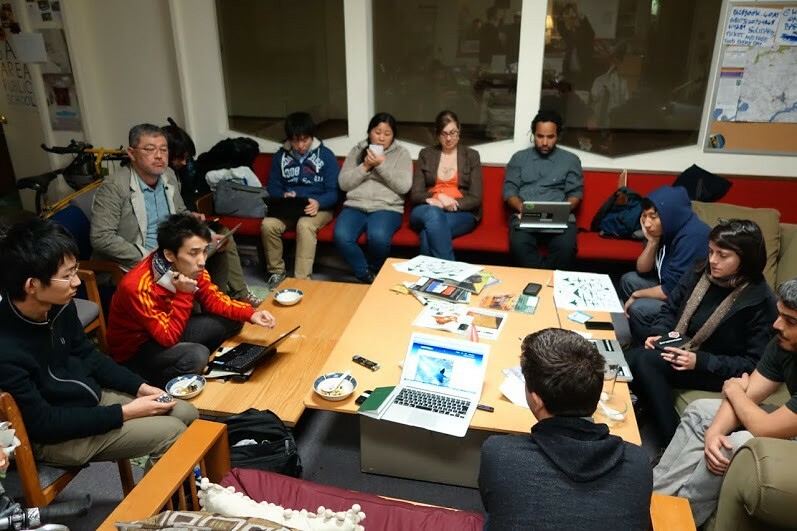 This February LocalWiki cofounder Mike Ivanov and Oakland LocalWiki volunteers met with University of Tokyo Interdisciplinary Information Studies Professor Hideyuki (Yuki) Tanaka, his graduate students and visiting Professor Mikio Sugiyama of Sapporo. 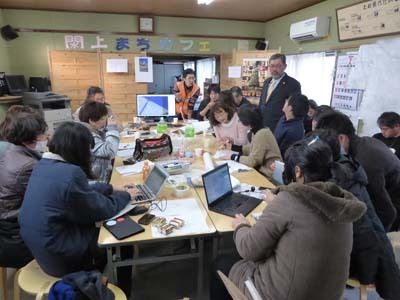 These scholars are using LocalWiki in Japan to map memories of the cityscape and local culture destroyed in Natori during the 2011 earthquake and tsunami. 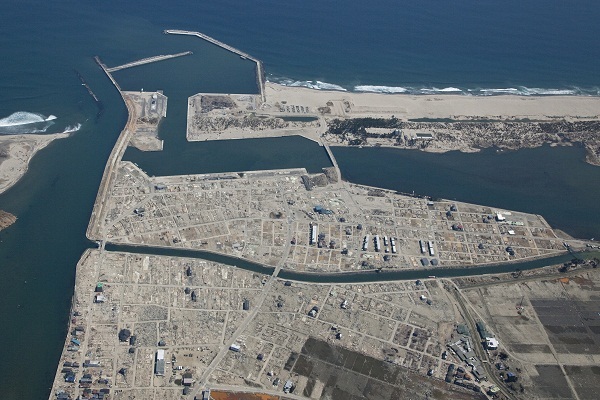 Natori is an old port city in the Sendai, about 100 kilometers northeast of Fukushima. 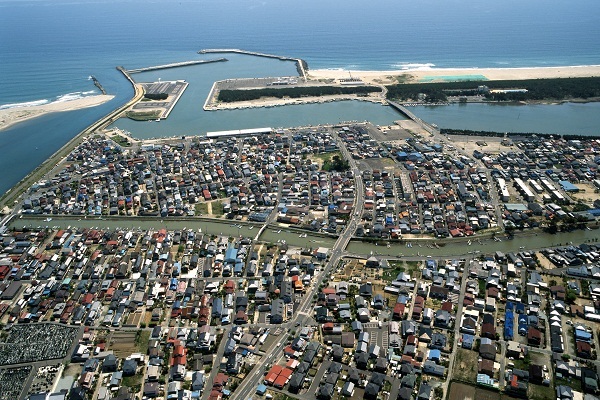 It was devastated during the 2011 tsunami and earthquake. The destruction was particularly bad in the port-hugging Yuriage district, whose houses and winding, centuries-old streets, similar to the narrow passageways of Barcelona’s Ciutat Vella, were completely swept away in the surge. About 2,000 homes were destroyed, 7,000 people displaced and 700 died. Now all that is left is the grass that is re-populating the soil--not even the foundations of the buildings remain. The area is cordoned off and residents cannot return yet. Many of them, suffering from the trauma of losing their homes, have decided to settle elsewhere. A friend of Professor Yuki and former Natori business-owner, Michiyo Sasoh, wanted to create a space to preserve memories of the now-fractured community. She initiated various programs such as cherry tree-planting in the damaged area and a lantern ceremony as a ritual remembrance for the dead. While her efforts have been nationally broadcast in Japan, it has been difficult for her to transmit this information across the Internet to an international audience. She was inspired to create a LocalWiki project after witnessing the ability of Davis Wiki to disseminate grassroots knowledge through a free and open community web platform. She reached out to Professor Yuki and his colleagues to use their technical expertise to help her build out the project. Our friends at LocalWiki Japan organized two mapping parties in which local residents created a large, hand-drawn map of the neighborhood by memory, plotted memories onto this map, and then transposed it all onto the Natori LocalWiki. One of the obstacles the organizers encountered was the difficulty some participants had using the computers provided to edit the wiki. Doing a hand-drawn map gave digital novices, particularly the elderly, the opportunity to participate. 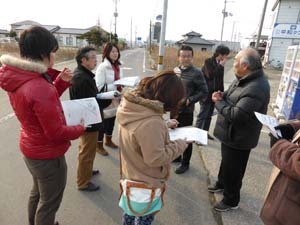 Participants marked points of interest with sticky notes explaining their significance: an old memory, the location of the kindergarten, a person’s former home. By the end of the mapping parties, they had effectively mapped a community’s collective memory. The recent February workshop page showcases photos of the event, along with the handwritten maps, content created, and OSM contributions. An unanswered question our visitors had was how to best interact with people experiencing the trauma of loss after the tsunami. They are addressing this concern by working with health workers from a local mental health facility who are interested in the potential therapeutic benefits of storytelling through this project. We also learned about the Sapporo LocalWiki. This has been spearheaded by Professor Mikio and spread through word of mouth. The biggest spike in users was after a presentation to high school teachers, who ended up using the wiki platform to digitally preserve projects created by their students, and translated pages into English for non-Japanese visitors. Our friends from Japan also wanted to know about our efforts here. They were interested in how Davis Wiki and the Oakland LocalWiki have been able to grow users, content, and general adoption. Mike shared the successes and failures of Davis Wiki, and Oakland LocalWiki volunteers shared their strategies and experiences for gaining broader visibility: using community events to expose the public to the wiki, and encouraging enthusiasts in specific areas like local history, current politics and community resources to use the wiki to document their knowledge. Overall, it was a symbiotic exchange of ideas. LocalWiki Japan volunteers meeting with Oakland LocalWiki volunteers at the Sudo Room hackerspace. Most of us who are building LocalWikis in our communities have never been a part of a project like this before, so this kind of knowledge-sharing between groups is really unique and indispensable, and helps us all build better projects that we hope will eventually include the knowledge of everyone in our community. When we started the LocalWiki project a little over two years ago, we set out to bring the wonder, joy, and transformative power of projects like the DavisWiki to as many communities as possible. We wanted to show the world that a more open, more empowering and more collaborative model for local media was possible. We worked hard to create an entirely new type of “wiki” software designed specifically for local community collaboration. Our goal was to make the ultimate platform for local community knowledge sharing. In the process, we broke a lot of ground — we created the first open-source, entirely-visual page editing process; a beautiful collaborative mapping system; the first open-source, visual “what’s changed” view for pages and maps; a powerful geographic API; and much more. When we began the LocalWiki project, the question we got asked over and over was: "But can you replicate this? Davis is..weird." Today, there are over 70 major LocalWiki projects in 10 countries and in 7 languages. Every month, around 400,000 people use a LocalWiki project. And the LocalWiki software platform has been installed over 1,000 times, making it one of the most-replicated pieces of open-source civic software ever. But most importantly, we've begun a movement — a movement focused around communities coming together to collaboratively write their past, make meaning of their present, and build visions of their future. While there are an ever-growing number of vibrant LocalWiki projects, most communities lack a project. Creating a project requires knowing how to install software on a server. Despite the fact we've worked hard to make it easy to install and update the LocalWiki platform, many projects struggle to keep their servers updated or running at all. Because you must create an independent LocalWiki project for a particular area before contributing, early enthusiasts feel that they have to first build a cohort of core volunteers for the project to be successful, when the incentive should be to jump in and add great content. Despite the fact that the LocalWiki API is being increasingly adopted, it's difficult to use LocalWiki as a platform for local knowledge sharing. Because of this, we lose out on a tremendous amount of possible growth. E.g. when Mark finds a great open database of park information for all of Canada he cannot import it into LocalWiki in whole. Because every LocalWiki is a separate project on a separate server with a separate domain name, it's difficult for people to discover and contribute to projects. For instance, because of this extreme autonomy, each project must work for years and years to get decent search engine ranking. In contrast, a new entry on Wikipedia will become the top hit on various search engines almost immediately. As a result, successful projects must engage in direct in-person outreach for years to achieve modest growth, which tires and distracts contributors. Mobile is increasingly essential, but it's difficult to imagine a cohesive mobile strategy with our current everything-is-separate approach. E.g. would we create a mobile app for each of DavisWiki, OaklandWiki, ArborWiki, etc? Right now, a mobile app could improve large, established projects but it's hard to see how it could spur growth in new areas because, almost by definition, they don’t already have LocalWiki projects. Determining appropriate geographic subdivisions for LocalWiki projects is difficult. LocalWiki projects in geographically isolated areas don't struggle with this as much (e.g. Davis), but most places in the world are interconnected and/or subdivided. This not only makes it difficult to figure out what regions a project should serve, but also makes it borderline impossible to share information and community between regions. Fundamentally, what we want to do is collect, share and open the world's local knowledge. We've proven our model can be replicated successfully in several major communities, but our challenge now is to find ways to massively scale the project up with the aim of reaching millions of people throughout the world. Today, we're extremely happy to announce that, with the generous support of the John S. and James L. Knight Foundation, we're embarking on a new project that aims to address these problems head-on, scale up LocalWiki and ultimately make it easier for anyone, anywhere to learn about where they live. At the core of this new project will be the development of a singular LocalWiki “hub”. This hub will provide a frictionless way to learn and share without technical or logistical challenges; serve as a repository for both structured and unstructured local information; and ultimately provide a global, universal platform for local knowledge. Imagine just going to localwiki.org, searching “volunteer,” and finding all of the volunteer opportunities in your area. Or learning about the history of a nearby lake from a friend and being able to share it with your community instantly, without having to create a LocalWiki project first. Or finding a great dataset of park information for your entire state and being able to import it into LocalWiki, as a whole. This — and much more — is what we are going to experiment with over the coming year. Many aspects of the project are still yet to be determined. LocalWiki is a community-driven project through and through, so to kick things off we will start holding hangouts with LocalWiki communities in the coming weeks to chart a course together. At first, we plan to start with something simple that helps people get started with LocalWiki projects and then iterate, iterate and iterate. Make a small monthly donation and help keep us going strong! We are a tiny non-profit and every bit helps. Help us make this a reality by getting involved with LocalWiki! Know a good community for us to test the new platform out in? Let us know! We couldn’t be more excited to share the power of LocalWiki with many, many more people all over the world. It’s going to take a lot of work, but with your help we know we will succeed. Let’s do it! If you’re a member of the press, please see our press release here. 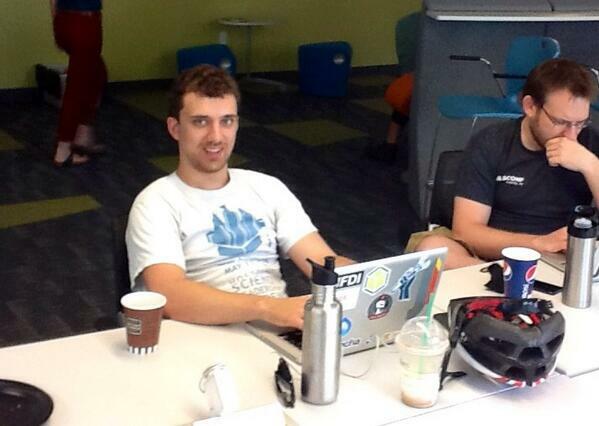 On June 1-2, 2013, thousands of people in communities across the country participated in the National Day of Civic Hacking, a series of events held in dozens of cities where coders and citizens collaborated to use open government data for local and national change. Many of the participating projects included building and using LocalWikis for civic change. In Philadelphia, a team that included Chris Alfano, Faye Anderson, and Jim Connor won the Random Hacks of Kindness hackathon with an app called “What’s Going On?” which aggregates after school programs across the city. To develop a database of after school programs for their app, the team had participants add programs to Wikidelphia, Philadelphia’s LocalWiki. 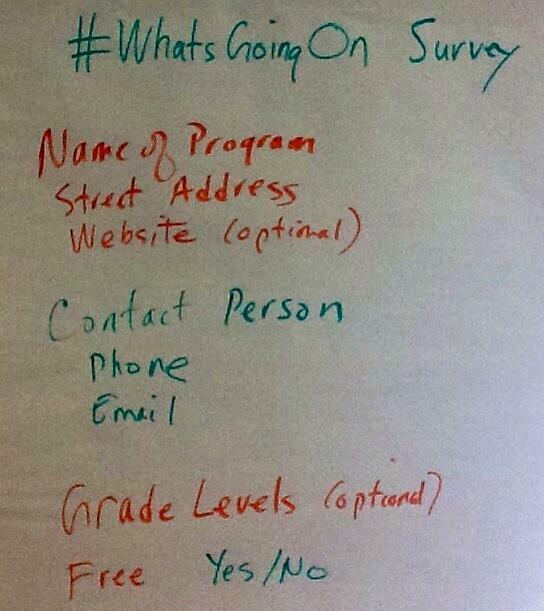 The list of programs is now available both via the What’s Going On? app and on Wikidelphia. Hack for Change participants worked on adding and editing entries to their LocalWikis in Miami, (the MiamiWiki team added over 370 entries during the weekend! ), Seattle, Kansas City, Norfolk, and Tulsa. The Tulsa Central Library organized and hosted a TulsaWiki editathon where over 60 participants added entries and maps to TulsaWiki. Additionally, a team that included Luke Crouch, John Dungan, Blixa Morgan, and Patrick Forringer developed a mobile app called LocalTour which uses map and entry data from Tulsa Wiki to power self-guided tours of Tulsa. 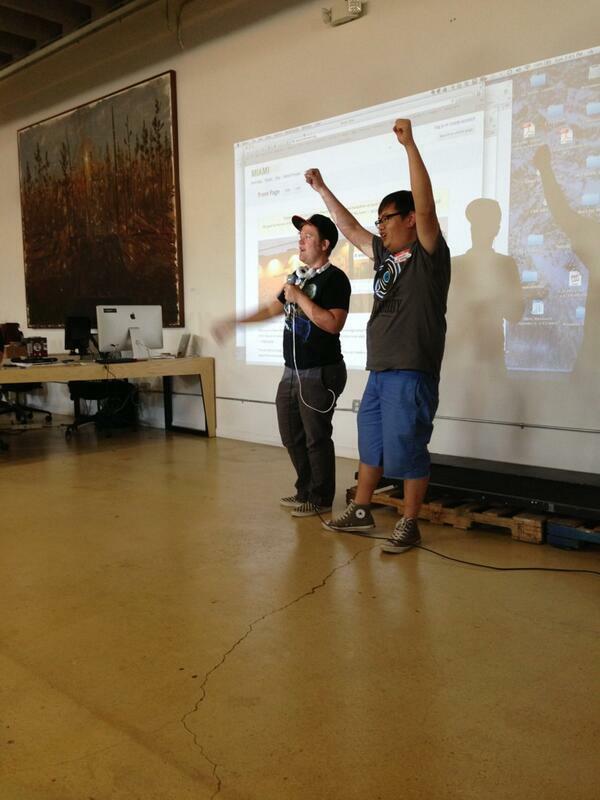 The team plans to expand this app to allow any city running a LocalWiki to have their own LocalTour instance. 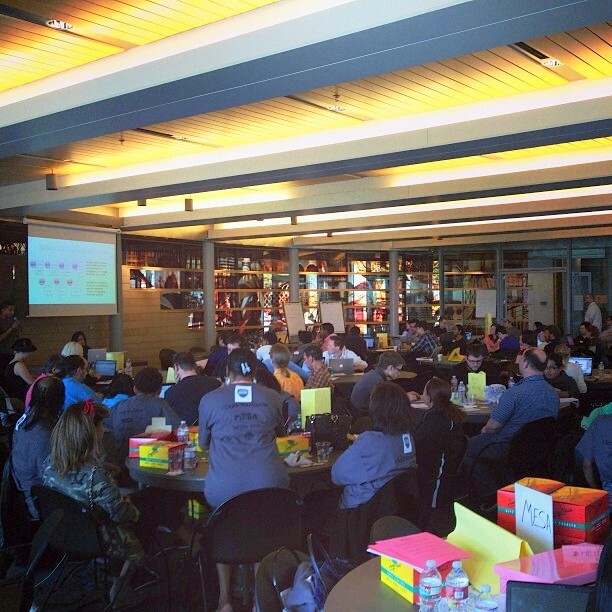 The National Day of Civic Hacking was the starting gun, but the race continues all summer with the Great American Civic Hack, a summer-long challenge that encourages development and re-use of civic software that culminates in an awards ceremony in August. Help make open source civic software better by contributing to LocalWiki and all the other great civic projects in the Great American Civic Hack. Seattle LocalWiki met in conjunction with the Code for Seattle Code for America Brigade group and hacked on the LocalWiki platform, creating a ruby gem for the localwiki api, a node module for the localwiki api, a patch method for the node module request and more. A bunch of LocalWiki editing happened, too, and folks started filling out information about local libraries. For Open Data Day, Oakland LocalWiki had an editathon in conjunction with the Open Oakland Code for America Brigade at the 81st Avenue Library. The theme of the editathon was “#oakmtg” which is the hashtag used by those who livetweet Oakland City Council meetings. As part of this theme, they worked on content relating to all things civic -- City Council (people and meetings), city policies, and access to resources and services. Content added included a complete list of past City Council members, free computer access in Oakland, unemployment insurance and job-seeking advice, resources at local libraries, Oakland Fire Department locations, and more. Code for America fellows in South Bend, Indiana set up a South Bend LocalWiki for their event which 80 people attended. Populating the South Bend Wiki was one of several activity or project options for the day. It proved to be quite popular-- 15 users created more than 110 pages with more than 300 edits! The initial content focused largely around neighborhoods, biking, and local amenities like restaurants and live music venues. Since the event, a number of users have continued adding to and editing LocalWiki and at a community meeting last night one of the contributors told us that she's recruiting a relative who works with high school students to populate LocalWiki with additional information as part of a class. On a Saturday morning, Summit County Councilmembers, lawyers, ecologists, data scientists, designers and developers gathered to celebrate what we love about where we live. We documented the special parts of this community in our culture’s favored medium: open-source software. More specifically, they captured the best of the community’s remarkable parks, its neighborhoods and destinations, and even the “Weird and Wacky” in the new Summit LocalWiki. Sacramento LocalWiki editing was on the menu during Sacramento’s International Open Data Day hackathon. Phoebe Ayers from nearby Davis Wiki gave a demo on editing LocalWiki, and the group settled in to collaboratively redesign and update the main page. Participants also updated and added to several articles, and as a demo, created a new article about the space they were in. By the end of the event everyone agreed to stay in touch via a new Sac Wiki google group. Participants discussed the possibility of meetups and working with other Sacramento community groups such as local collaborative media and neighborhood associations to breathe more energy into the project. Folks in the Tokyo area of Japan worked on LocalWiki Japan. They worked to share the beautiful and unique things about the regions of Chiyoda and Fujisawa. Oakland hosts first in a series of Local History Editathons! 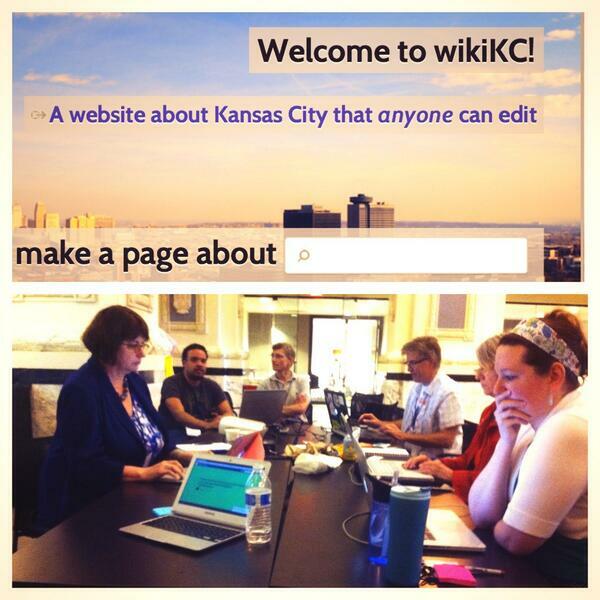 On Sunday, January 13th, Team Oakland LocalWiki held our first-ever Local History Editathon! 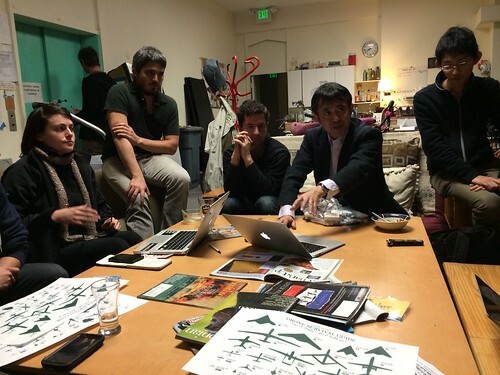 That day, local historians, geographers, San Francisco Bay Area Wikipedians and curious residents of all editing abilities gathered at the Oakland History Room for what became a very successful major first push toward incorporating local historical content onto Oakland LocalWiki. After a merry social hour at the Brown Couch Cafe, the day’s researcher-editors met up for the main event at the Oakland History Room at the main branch of the Oakland Public Library, a local treasure trove of primary materials relating to the history of the East Bay. Sunday History Room Librarian Martha Bergmann greeted the crowd with a table filled with prime examples of the history room’s collections: from neighborhood-related clippings that volunteers have collected over many decades, to historical photo albums and property maps dating to the 1850s. She had spent the previous evening thoughtfully pondering the event: Which resources would she highlight, particularly given the digital nature of the project? After her wonderful exhibition on the library’s collections, she lead us to a conference room, where Team Oakland Wiki members Marina and Vicky gave first-time editors an editing walkthrough. After returning to the History Room, the day’s localwikians packed the largest table in the room with books and news clippings, laptops and hand-scribbled research notes, a portable scanner, and an occasional history-excited voice (that the author of this post had to remind to keep quiet). One of our attendees, Gene Anderson, is the local historian/geographer behind the detailed neighborhood boundary maps that are incorporated into Oakland LocalWiki. He is the keeper of the OurOakland blog, an amazing repository of local history and events. A few years ago, he started an Oakland history wiki on OurOakland as a way to record in wiki format local history that doesn’t meet Wikipedia’s notability guidelines--but the project ended up being too monumental a task for him alone. He now edits Oakland LocalWiki under the name "Gene", and is a regular sight on the "recent changes" tab! Engage existing communities: We want to tap into communities of Oaklanders who have the potential to become dedicated editors--in this case, those who are already actively interested in creating and preserving a story to call Oakland’s. We believe (and are seeing!) the potential that this community of active historians holds! Make the analog digital: We want to create the opportunity to bridge communicational divides between the analog and the digital and include invaluable information on the wiki that is not readily available on the Internet. Promote incremental editing: We want to motivate more people to edit by having a content base spanning the basic history and geography of neighborhoods, people and historic events. This is part of our strategy to include people who may not have the knowledge, time or sense of agency to write an extensive history on a topic, but who through incremental changes could add more value and depth to what’s already presented. Enrich our perspective of today’s Oakland: Having basic content on the historical trends that shape and inform today’s Oakland will make an Oakland LocalWiki user’s experience that much more enlightening. Our Local History Editathon series takes place every Sunday at different libraries, museums and other repositories of local history. Please see the Local History Editathons page for details and sign up for our announcement listserv! More highlights of the day (including photos, content created, and ideas for future events) can be found here. We've seen something incredible happen recently: all over the United States, people are getting together — in person, and in huge numbers — to kick off or just to edit LocalWiki. When Brian Zelip went back home to Toledo for Thanksgiving, he knew the community was missing something — a LocalWiki! So he got to work creating one. But he knew he couldn’t just stop on by, boot up a new LocalWiki instance, and head back. Instead, he worked with friends and organizations in the community, and pulled folks together for a big “learn & launch” event for Toledo LocalWiki. Around 60 people came out to the event. Eddie is an eight year old contributor to Toledo LocalWiki. He asked the first question during the event’s Q&A, then set to work on his iPad creating a wiki page for his school! Motu Viget is the motto of the City of Grand Rapids. It means strength in activity in Latin. Viget is also the name of the local wiki project for Grand Rapids. The project was started back in 2007 and re-launched yesterday, in beta, on LocalWiki. To mark the occasion, they had a big edit-a-thon and meetup yesterday evening! The team behind the project, Friendly Code, has already started doing some great work on the LocalWiki platform. Last week, folks behind the Oakland LocalWiki project organized their first bikeabout! One of the bike groups. Participants split up into three groups that rode around Fruitvale, Jingletown, Downtown, Grand Lake, and West Oakland. The ride was roughly geared around recording information about Oakland's vibrant collection of murals. A couple days later, some of the Oakland LocalWiki team organized a brown bag lunch at the Oakland City Hall! About 20 city employees attended, and they had a lively discussion about ways the City could engage with the Oakland LocalWiki project. Folks in Champaign-Urbana just passed the 1,000 page milestone on CU LocalWiki. Congrats! Triangle LocalWiki folks on the R-Line spread the LocalWiki word!